Flood insurance in Canada refers to protection for overland flood damage, which occurs when a large quantity of water overflows on to dry land and enters a residence. Common causes of overland flood include rainfall from storms, dam failure, tidal flooding, and the runoff from melting snow in the spring. Historically, home insurance policies in the country haven’t covered loss or damage caused by overland flood damage, according to the Insurance Bureau of Canada (IBC). In fact, up until 2015, the Insurance Institute of Canada (IIC) reported that Canadians who suffered flood damage turned to the Disaster Financial Assistance programs through their federal, provincial and territorial governments to cover damages due to uninsurable events, and often learned that this assistance didn’t account for much of their out-of-pocket flood-related expenses. This has started to change with some Canadian insurers now offering overland flood coverage for policyholders. Aviva was the first insurer in the country to offer overland water protection to consumers, though this product does not cover flooding from salt water, such as tsunamis and tidal waves. This and similar types of coverage from insurers like RSA Canada and The Co-operators are still new on the market and are not offered by all firms. In some cases, if a policyholder lives in a flood plain, coverage may not be available at all. There is an important distinction between the main types of events causing water-related losses: flood (explained above), sewer backup, and water damage. Sewer backup can happen when sewer systems experience an influx of high volumes of water from snowmelt or rainstorms, and as a result, wastewater or freshwater then backs up into a home through toilets or drains. Most home insurance policies offer coverage for damage related to sewer backup, though it may also need to be added. Customers can be confused by the difference between sewer backup coverage versus overland flood, which brokers can help address during conversations with insureds about their home insurance policies. Water damage refers to the sudden or accidental flow of water into a property, and is caused by events not related to flooding or sewer backup, such as a pipe bursting, an overflowing tub, or a windstorm ripping a roof off a structure, causing rainfall to enter. Most home insurance policies also offer coverage for this type of damage, though policies tend to not include water that leaks into a structure, which can, for example, come from cracks in a foundation. While home insurance policies have not tended to cover the risk of overland flood, an increase in severe weather is causing more water-related damage and insurance claims, and has encouraged the insurance industry to re-evaluate its role in mitigating this risk. In September 2018, a thunderstorm brought 72 millimetres of rain to Toronto with over 70% of it falling during one hour, causing $80 million in insured damage from extensive flooding. The flood event in Windsor in August 2017 was, meanwhile, the largest catastrophic loss for Canadian insurers that year, with insurers paying out claims worth $165 million to those affected and the province of Ontario paying out close to $1.5 million through its Disaster Recovery Fund. “Water has become the new fire,” said IBC’s director of consumer and industry relations for Ontario Pete Karageorgos. “There’s now more payouts for water than fire, which used to be the top source of claims. We’ve seen this across the province and the nation.” Climate change along with the disappearance of wetlands, aging infrastructure, and unfinished basements have contributed to the surge in claims, added Karageorgos. From all of the extreme weather events that impact Canadians, flooding is currently the costliest, ringing up millions of dollars in property damage, according to a study from the Intact Centre on Climate Adaptation at the University of Waterloo. Using data from IBC, the study also outlined that 58% of catastrophic insurable loss claims from 2008 to 2015 were a result of water damage, demonstrating the rising threat that flood waters pose to Canadians. What coverage is offered by home insurance policies? 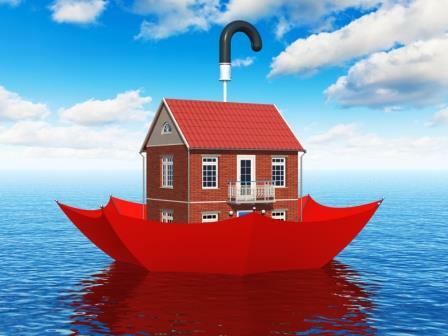 An IBC public opinion poll in 2018 found that almost 45% of homeowners in Canada who have a ground-level home believe they have flood insurance included in their regular home insurance policy, while 26% don’t know if they have it or not. Adding to this, only 37% say they feel confident in their understanding of what is covered in their home insurance policies. Brokers can help educate policyholders by first outlining the type of insurance they have in place for their home, condo, or rented property. All-risk or comprehensive policies will protect against all losses except for what’s excluded, which commonly lists flood. If that’s the case, brokers can guide insureds to purchase additional protection for water damage stemming from flooding. Allstate, for instance, offers an enhanced water damage endorsement that includes sewer backup as well as water overflow from a freshwater source, rainfall, or accumulation of ground or surface water. These add-ons also often take into account the location of a home. Desjardins’ base policy includes protection for water damage events and optional coverage with ground water losses or sewer backup. Customers in low-risk areas can also receive protection for damage caused by overflowing waterways or dam breaks, but those located in medium-risk areas will have to purchase coverage for an added premium. IBC estimates that more than 1.7 million Canadian homes are at risk of flooding, and has worked with the provinces to provide a complete list of flood maps to help consumers and insurers understand the level of flood risk facing properties.